Joseph Guiteau is a working actor who moved to New York to escape a tragic family history in the Midwest. Wandering through a city transformed by the attacks of September 2001, he frequents gatherings of conspiracy groups, trying to make sense of world events and his own personal history. Looming over his life is a secret that threatens to undermine his new marriage to Del, a snake expert at a city park, whose work visa is the only thread keeping her from deportation back to her native Greece. The new marriage influences the lives of those around them: William, a dark and troubled actor whose sanity is fading as quickly as his career, leading him to perform increasingly desperate acts; Madi, a young entrepreneur who will have to face the moral complications of a business made successful by the outsourcing of American jobs to India; and her brother Raj, Del’s former lover, a promising photographer whose work details the empty rooms of an increasingly alienated city. 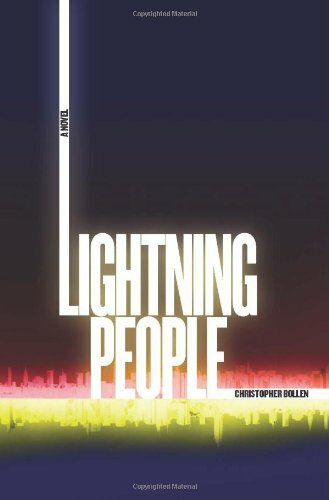 Lightning People, Christopher Bollen’s first novel, captures the atmosphere of anxiety and loss that exists in Manhattan. It is a story of the city itself, and the interconnected lives of those attempting to navigate both Manhattan and their own mortality. Listen to a podcast interview with Christopher Bollen, author of LIGHTNING PEOPLE.